A350 XWB News: As usual, Boeing and Airbus “prepare” the summer Air Shows in the media. This year with the wide-body aircraft market. 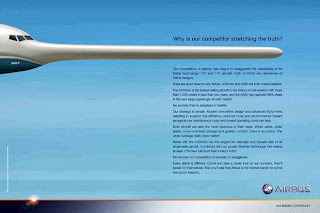 As usual, Boeing and Airbus “prepare” the summer Air Shows in the media. This year with the wide-body aircraft market. Boeing and Airbus, which share a duopoly in the market for large commercial jets, have been known to trade the occasional jibe about their products and strategy, accusing each other of making misleading claims about their planes’ performance. Airbus had struck a more supportive note during the three-month grounding of the Dreamliner, only to resume a more aggressive stance as the A350’s maiden flight approaches in coming weeks. Boeing CEO Jim McNerney said last week at an investor conference that Airbus doesn’t “have an airframe that can compete” with the 777X, the upgraded version of Boeing’s biggest twin-engine plane, “They don’t have the appetite to do a ground-up airplane, and they’d have to do a ground-up airplane.” He wanted to point out that Airbus doesn't have a competing airplane to the 777-9X (a derivative of the 777). 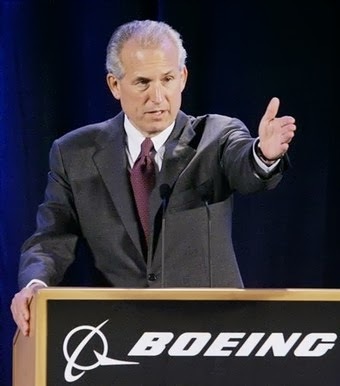 Enders’s comment was directed specifically at the plane that Boeing presented publicly on July 8, 2007, timed to coincide with the plane’s name -- 787. The first 787 to actually fly didn’t come until 1 1/2 years later. 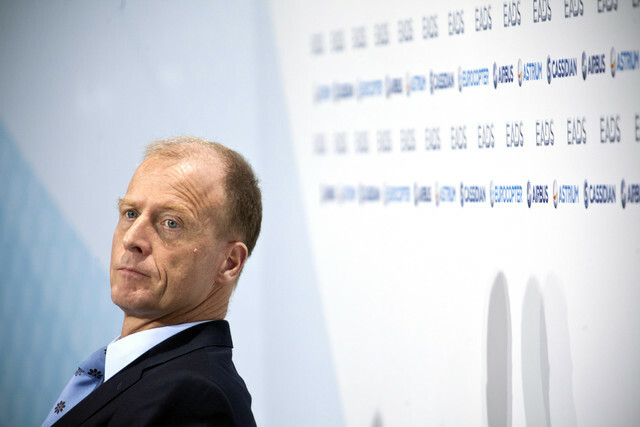 Fabrice Bregier, the Airbus CEO who succeeded Enders, kept the roll-out to a low-key event reserved only for employees. The humble ceremony compared with Boeing’s jubilant unveiling of the 787 Dreamliner in 2007, an event hosted by former television news anchor Tom Brokaw before 15,000 people and broadcast live by satellite.